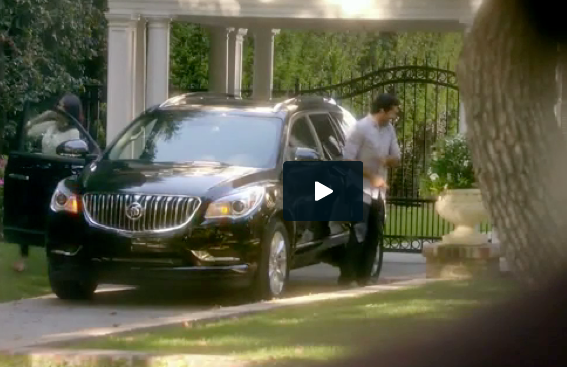 “It looks like the Garcias got a new car,” says the nosy woman in one TV spot from Buick’s “that’s not a Buick” campaign. But trying to figure out who these nice people are is more fun and challenging than figuring out what car they’re driving. For one thing, they’re parked way at the end of a drive, just inside the gate. Yes, gate. This is obviously an upscale neighborhood. That’s confirmed by the interior of the Nosy house. But If the Garcias are the neighbors next door, why are they parked so far down the drive? So far, in fact, that the nosy husband has to use binoculars to check them out. Maybe they are friends of the Nosy family, coming for a visit or a cook-out. But again, why parked so far away. If they’re the first to arrive, they’re sure clogging up the drive for parking. If they’re the last, where is everyone else and why are the Nosy couple in a spotless kitchen with no sign of party preparation. And why is Mr. Nosy peering at them through binoculars? Normally you receive company by going outside to greet them. It occurred to me that they might be employed by the Nosy family, probably as landscapers. But they don’t seem dressed for work. And I don’t think even Buick would be so clueless as to have a Latino family like the Garcias type-cast that way. So it remains a mystery. A nice, but otherwise anonymous family with a new car who live, visit or work in a neighborhood where people hide behind their binoculars and only acknowledge their presence when caught in the act. If I were the Garcias, I’d move. © 2015 All Rights Reserved by Jeff Russell + Companions, LLC, with the exception of previously copyrighted or trademarked works and logos which appear in conjunction with work samples and remain the property of their respective owners.